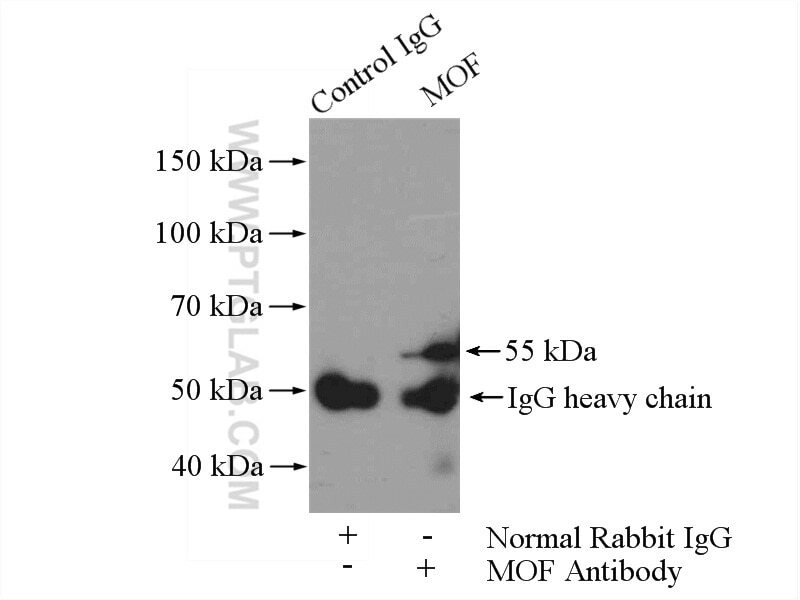 IP Result of anti-MOF (IP:13842-1-AP, 4ug; Detection:13842-1-AP 1:600) with HeLa cells lysate 1200ug. Histone Acetyltransferase Mof Affects the Progression of DSS-Induced Colitis. Regulation of acetylation restores proteolytic function of diseased myocardium in mouse and human.